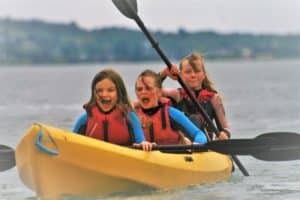 Offering the best school residential activity trips in Northern Ireland. Every East Coast Adventure visit is unique. We can guarantee a fun, excitement and an exhilarating activity packed programme. On top of that, we’ll work with you to tailor your adventure and design your personalised programme. Our outdoor instructors are excellent in the delivery of these programmes and encourage group engagement to improve communication, team work and build confidence, especially with those trying some of the activities for the first time. Everything is included in the price, activities, accommodation, equipment and food. There are no hidden costs. Activities we have to offer: Canoeing, pier jumping, banana boating, wet river bouldering, zip line, archery, disc golf, 35ft climbing tower, team games and crate climbing. We provide adventure days for School, Youth, Scout and Religious groups. 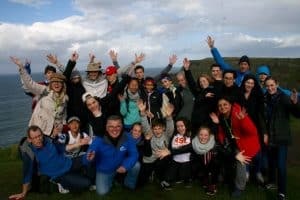 We have an extensive list of activities to ensure that your group have an experience that they will remember. With tailor made packages, our activities will not only engage & challenge your students but they will be talking about it for a long time after. Join a Session: Throughout May and June we will be running an open session of Water Sports and Kilbroney Park Challenge for School and Youth Groups. Water Sports will run every Monday, Wednesday & Friday throughout May/June. Kilbroney Park Challenge will run every Tuesday & Thursday throughout May/June. East Coast Adventure Centre can accommodate up to 63 people in our residential centre and 24 in our Glamping Pods. Sleeping in standard rooms from 2 to 10 bed dormitories and 4 people per pod. Our residential packages include catering, a range of adventure packed land and sea activities including entertaining evening programmes. East Coast Adventure Centre can accommodate up to 63 people in our residential centre and 24 in our Glamping Pods. Sleeping in standard rooms from 2 to 10 bed dormitories and 4 people per pod. 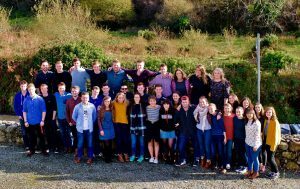 Take your group away and carry out your own programme in a quiet peaceful retreat to the picturesque Knockbarragh in the Mourne Mountains.